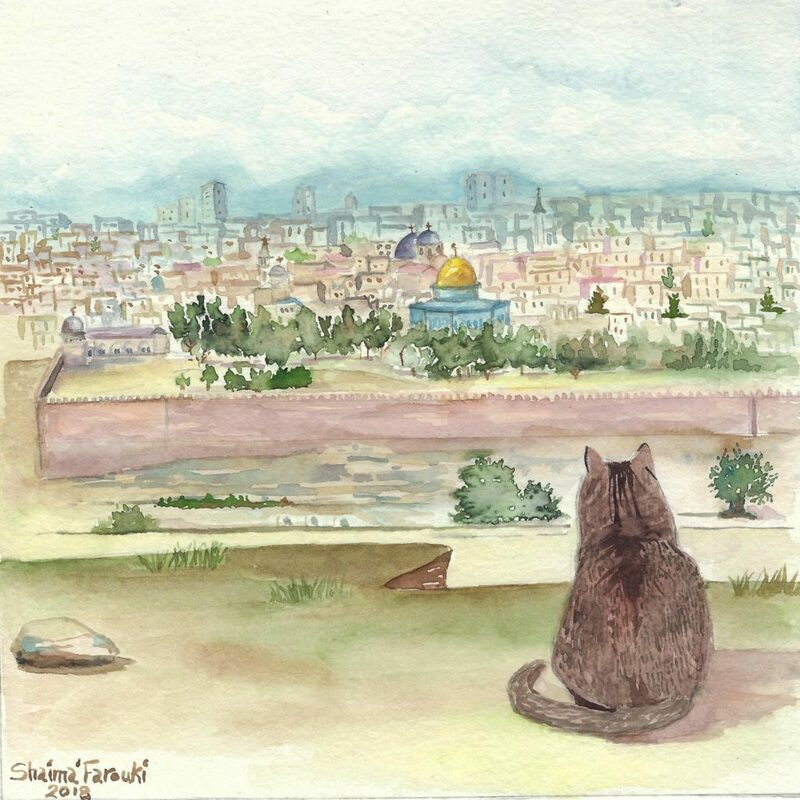 To celebrate the many cats that live in the streets of Jerusalem, including our very own Gallery cat, Simsim, we commissioned this picture by talented watercolour artist Shaima’. The canvas print is in a passepartout ready for framing. The original watercolour is also available – ask for details. This talented young artist from Jerusalem specializes in illustrations for children’s books, including a book of folk tales for UNESCO. She is also involved in introducing arts to children with disabilities. Shaima’ has participated in several local art exhibitions. This is her first art work painted exclusively for the Levantine Gallery.